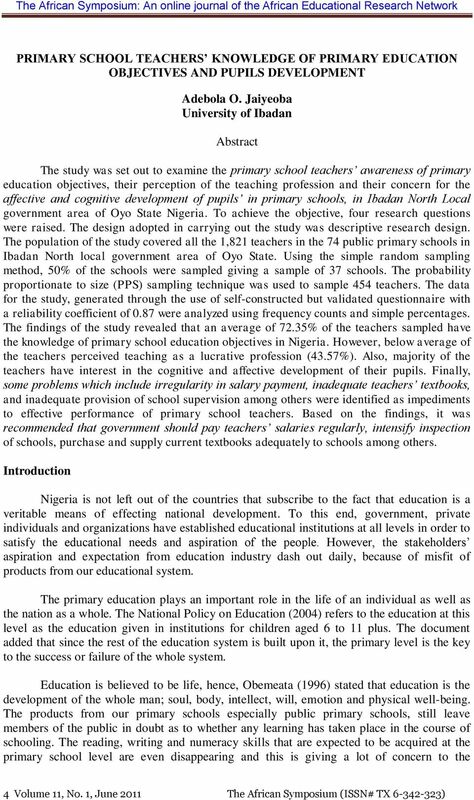 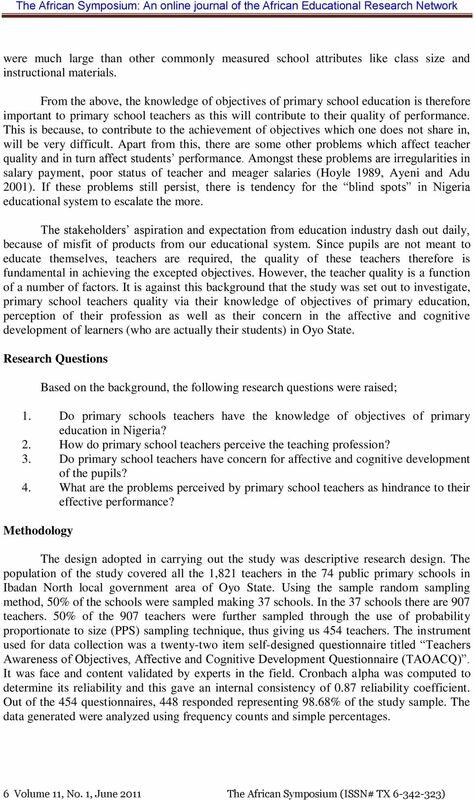 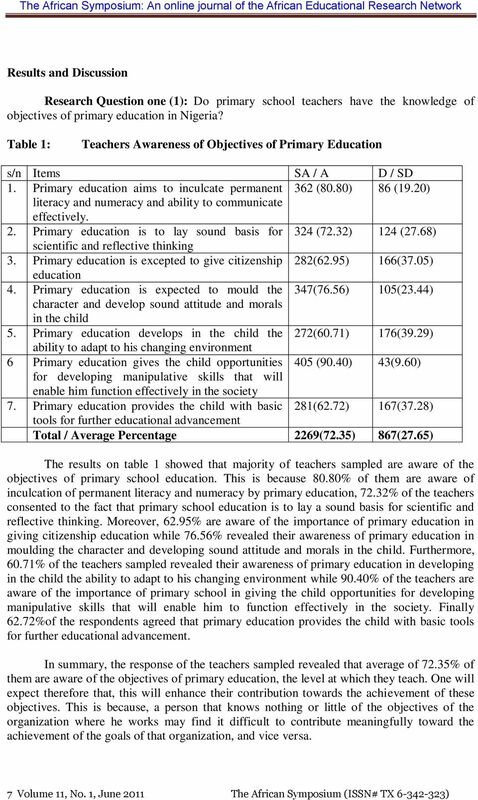 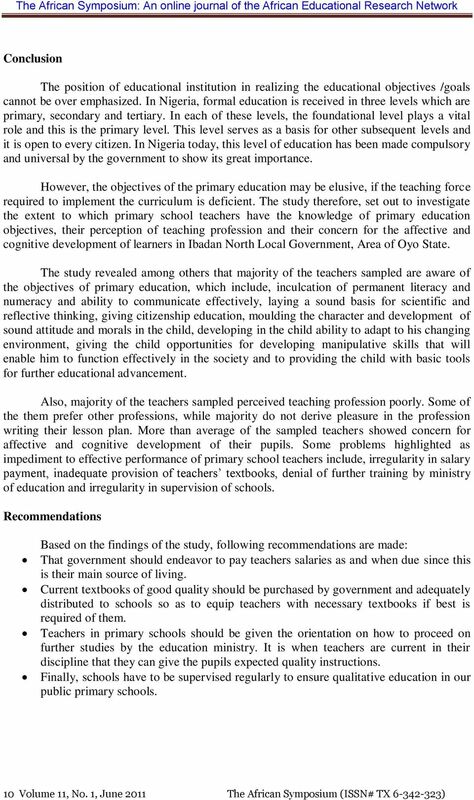 Download "PRIMARY SCHOOL TEACHERS KNOWLEDGE OF PRIMARY EDUCATION OBJECTIVES AND PUPILS DEVELOPMENT. 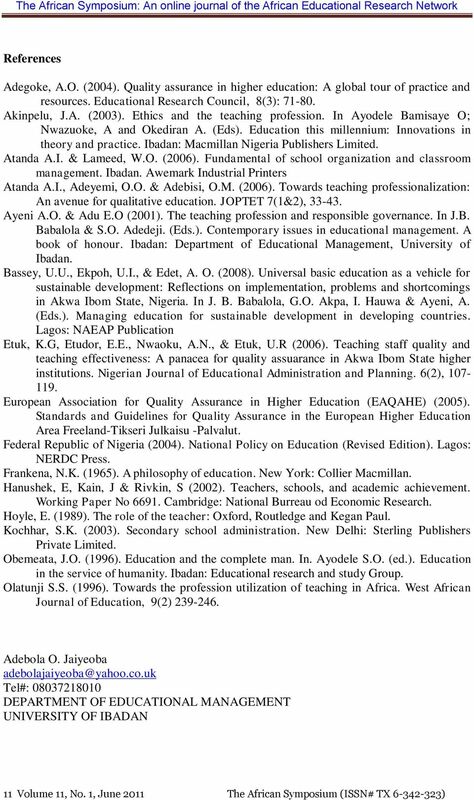 Adebola O. Jaiyeoba University of Ibadan." 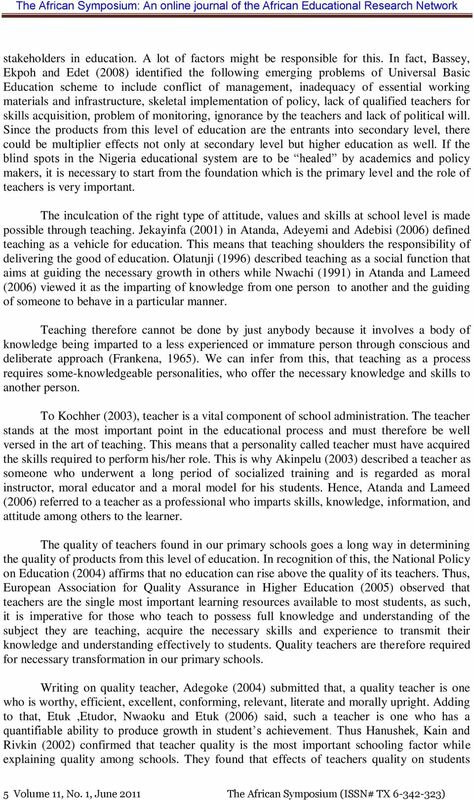 Teaching Journeys: Developing inspiration and networks in first year teacher education students.